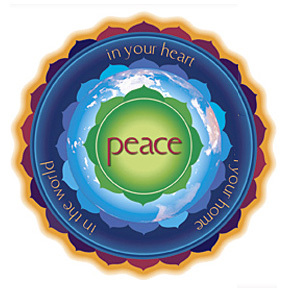 Description: The Dances of Universal Peace are simple, meditative and joyous interfaith circle dances that use Holy Names and Sacred Phrases from the many religious traditions of the world. There are neither performers, nor audience. New participants and experienced ones all form the circle together. No dance experience is needed. All loving hearts are welcome. Description: Inner Child will be an event lasting the entire day, in which everyone can participate. You are invited to go wild with your artistic side and create a masterpiece of what peace means to you. FREE T-shirts (limited quantity) will be handed out and there will be a contest to get as many signatures from people as you can. The top 10% will be entered into a raffle for free tickets to the Warchild Concert on Friday. Drop by and have some fun, release the inner child within you! Information: Dr Strangelove is a satirical film from 1964 about an “accidental” nuclear attack, and the problems with the concept of mutual assured destruction. This film is very relevant to today’s international situation and the nuclear tensions in the Middle East. The story concerns a US Air Force general who orders a first strike nuclear attack on the Soviet Union and follows the President of the United States, his advisors, the Joint Chiefs of Staff and a Royal Air Force (RAF) officer as they try to recall the bombers to prevent a nuclear apocalypse. See http://www.imdb.com/title/tt0057012/ for further information on the film. War Resistors in Canada with musical introduction by Canadian Singer Songwriter, Pam Gerrand. Description: This event is open to everyone, including those who are interested in world peace! In this event, war resistors, who have fled the U.S. because they oppose fighting wars in Iraq and Afghanistan, are going to talk about their experiences and viewpoints on war resistance. There will be a short question and answer period following the presentation, so feel free to ask questions. Movies for Peace – Darfur: A 21st Century Genocide and On Our Watch: A documentary about genocide in Darfur. Information: Two documentaries that reveal the realities of the conflict in Darfur, and take you directly to refugee camps and to interviews with those that have been affected. Come watch these two powerful documentaries and see how bad the situation is, and how people are trying to help improve it. Darfur three years later: Ramping up the Pressure! Description: Come out to a lecture-analysis by representatives of Amnesty International concerning the current human rights situation in Darfur and the neighbouring countries of Chad and the Central African Republic. Also learn about how well Canada has delivered on its promises – and what our government needs to do now. After the update, you will have an opportunity to write an appeal for further action to the Honourable Maxime Bernier, Canada's Minister of Foreign Affairs, and MAKE A DIFFERENCE! Information: A historical drama about Paul Rusesabagina, a man who used his political position, social skills and quick wit to rescue thousands of lives from a genocide. The film is based on true events and presents an idea of the atrocities faced in Rwanda during the genocidal violence that erupted in 1994. See http://www.imdb.com/title/tt0395169/ for further information on the film. Cost: By Donation - It is a longstanding principle that Kundalini Yoga classes require some kind of offering (however minimal). people in 42 countries around the world. !! !All proceeds go to War Child Canada's international projects (www.warchild.ca)!! !